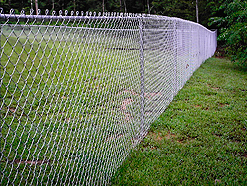 Medallion Fence™ is a full source manufacturer of Quality Ornamental Fencing offering unsurpassed corrosion protection. 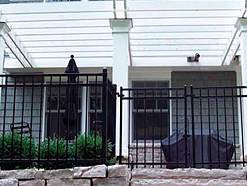 Medallion is Canada’s only manufacturer using ZAM® a Revolutionary, 21st Century Protective Coated Steel. 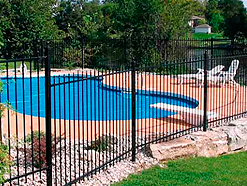 In addition, as an alternative we offer our fencing in a Marine Grade Aluminum. 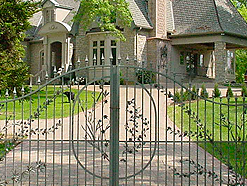 Medallion provides ornamental solutions for the residential, commercial, industrial and high security markets. Our variety of lines and extensive styles along with our years of experience in Custom Manufacturing to Project Specifications has made us the choice for Architects and Specifiers. 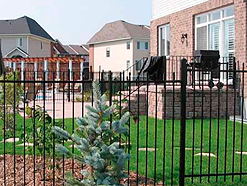 Medallion is Canada’s only manufacturer of ornamental fencing with full in-house facilities, including state of the art powder coating lines and robotic welders that enable us to control quality from start to finish. We are proud in providing quality products and innovative designs for over 50 years. ARMOUR-SHIELD™ is a synergy of materials and manufacturing processes that is unsurpassed in strength and durability. ARMOUR-SHIELD™ begins with ZAM® a combination of Zinc, Aluminum and Magnesium alloy coated steel that outperforms competitive coatings in terms of corrosion protection and paint adhesion. 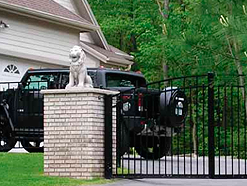 Alu-Tuff™ combines high tensile marine grade aluminum combined with a chemical pre-treatment that is tailored to provide superior bonding of the Super Durable Polyester Powder Coat Finish.